It was the largest collection of dolls in Australia and contained over 4,000 items. 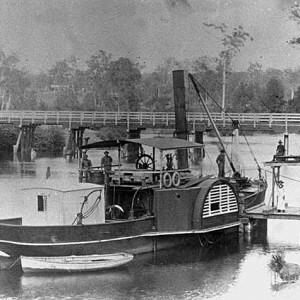 The Land of Legend was a tourist attraction in the suburb of Tugun on the corner of the Gold Coast Highway and Boyd Street. 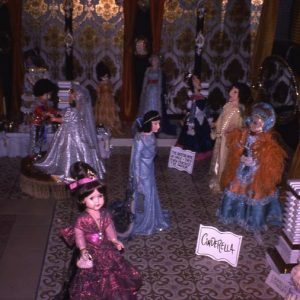 It was created by Bette Symonds (nee Simons) and grew from her lifelong passion for sewing and collecting dolls and toys. As an adult, Bette worked as a fashion model, earned the award of Photographic Model of the Year in Melbourne in 1955 and was one of the first women to wear a bikini on Victorian beaches at a time when they were outlawed. She also worked in the film industry overseas and, through this experience, gained a sense of design and colour. In 1968, Bette became ill and during her recovery she worked continuously sewing garments for characters from fairy tales and traditional stories and writing down stories as part of her therapy. The result was a large collection of toys and characters. 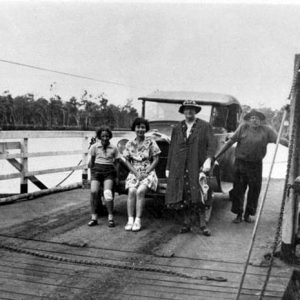 In the early 1970s, Bette and her husband Bruce moved to the Gold Coast from Adelaide. Her dream was to share her growing collection with the public in a magical setting. The Symonds set about designing and building a place that would allow Bette to develop and display her collection. 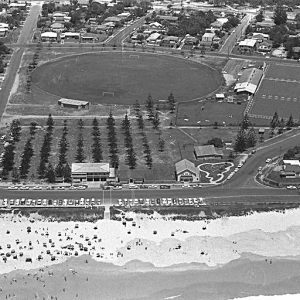 By the mid-1970s, the Land of Legend had opened at its first location in Currumbin. 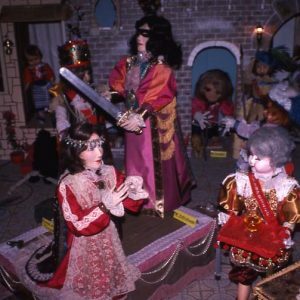 It was the largest collection of dolls in Australia and contained over 4,000 items. As part of the process of collecting items for the Land of Legend, Bette corresponded with many doll enthusiasts and collectors of childhood memorabilia over the world, including John Wayne. The building included fifty-four brick arches with leadlight windows and had sections installed with special lighting and animated effects to showcase the dolls and toys. 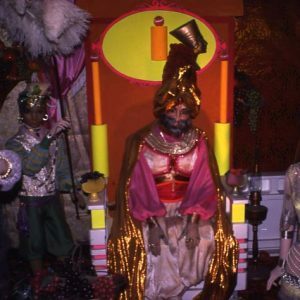 The collections included a series of areas called ‘lands’ and included a Magic Storybook Land which featured the tales of Ali Baba and the Arabian Nights stories. There was also a maze of walkways that guided visitors through pioneer homes, story book cottages, caves and shops all exploring the themes found in nursery rhymes and fairy stories. A scenic model railway meandered its way through the various areas. The earliest item in the collection dated from the 1700s while some of the larger life sized dolls wore gowns that Bette had acquired from her time working in fashion houses. Bette constantly changed existing displays and created new ones in order to keep them interesting for returning visitors. By 1980, the collection had relocated to a fairy tale castle designed entirely by Bette and built on land that the Symonds had purchased at Tugun. Bette died in 1991 and the Land of Legend closed in early 1995 after 15 years of operation as a tourist attraction. The new owners, John and Sue Done, reopened the business as The Gold Coast Party Castle. 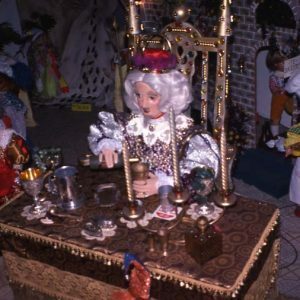 In 2000, new owners renovated the space, but continued the medieval themed shows for parties and private functions. Plans for a medical centre were suggested and the castle was demolished in approximately 2006. Symonds, Bette. 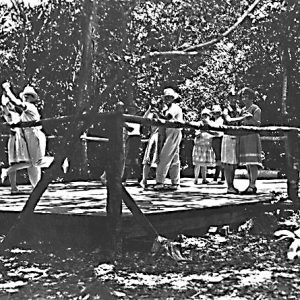 Land of Legend booklet, Tugun, [no date]. Juris, G. Specialist centre set to rise above ruins of theatre : Comedy Castle under the knife. Gold Coast Bulletin (Tweed edition) 27 Jan 2005. Iconic theatre-restaurant castle earmarked for demolition; Medical centre plan for Tugun. Gold Coast Bulletin (Southport, Qld.) 15 Sep, 2006, p. 84. Therapeutic House of Dolls. The Sydney Morning Herald (Sydney, New South Wales) 12 May 12, 1979 p. 12.